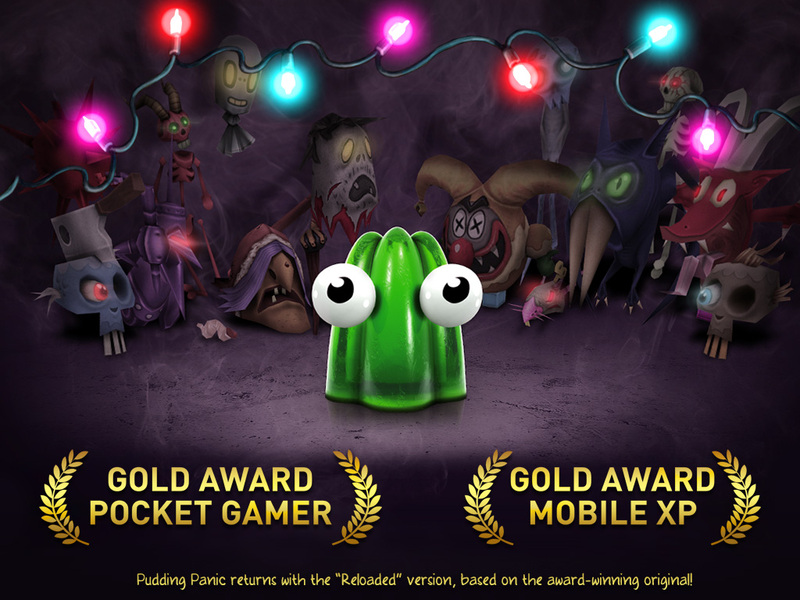 Everyone’s favorite dessert J. Jitters returns in the “Reloaded” version of “The Great Jitters: Pudding Panic”, the award winning game that “created a genre never seen before on the App store” (AppGamer), “utterly intense, but ridiculously addictive…. 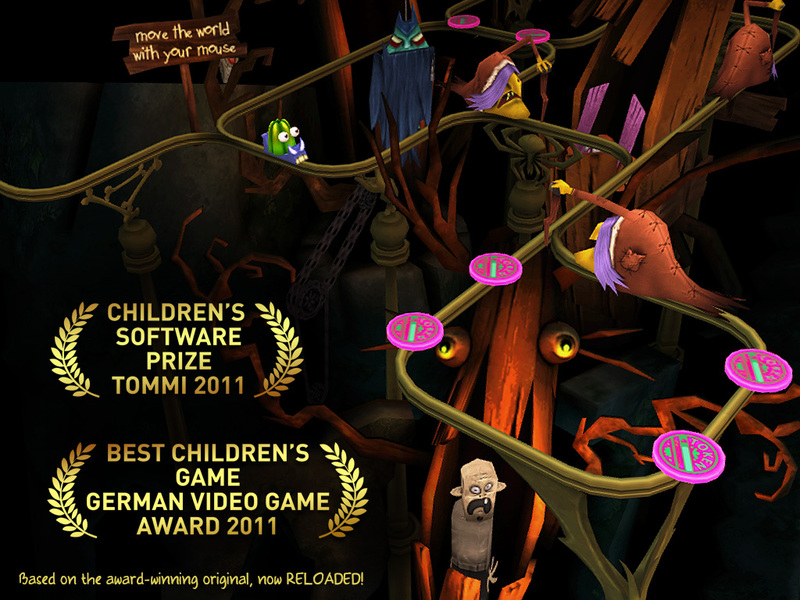 a puzzler without comparison” (PocketGamer UK). 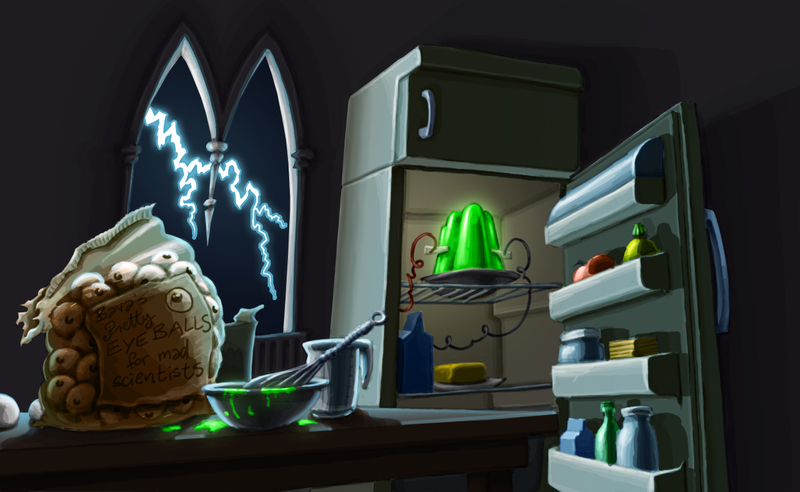 Puzzle a shivering jello through 60 levels of a haunted house. But beware! Scary monsters are waiting in the dark! Your only chance of survival is to scare the monsters back before the pudding quivers, shivers and faints from fear. Fight evil witches, rattling skeletons and rusty knights with an arsenal of crazy weapons! Collect coins to reload your weapons and valerian for your nerves! Are you clever and skilled enough to escape the labyrinth and to defeat the final enemies? 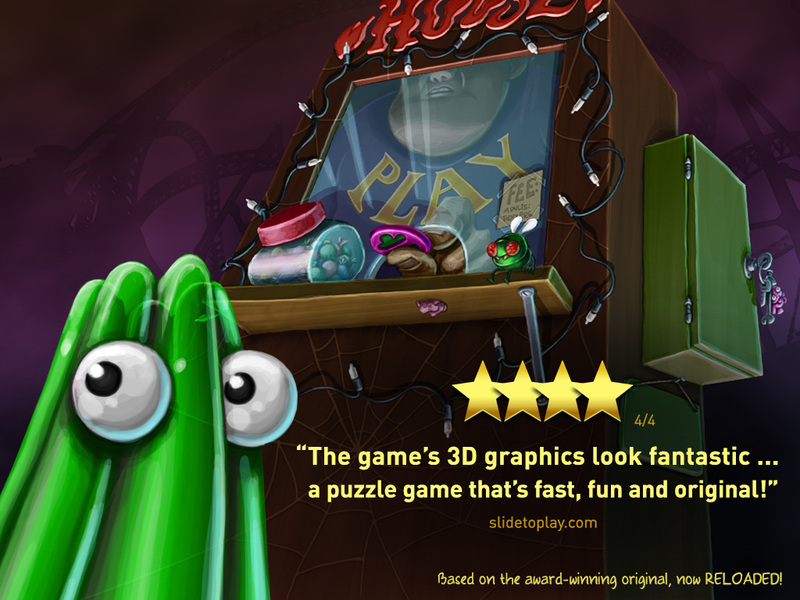 Test your courage in 60 suspenseful levels and dive into five beautiful 3D worlds! Many variations in gameplay and lots of challenges will make your pulse rise and your adrenalin flow: Solve puzzles, play against the clock, escape the monsters and win treacherous races! 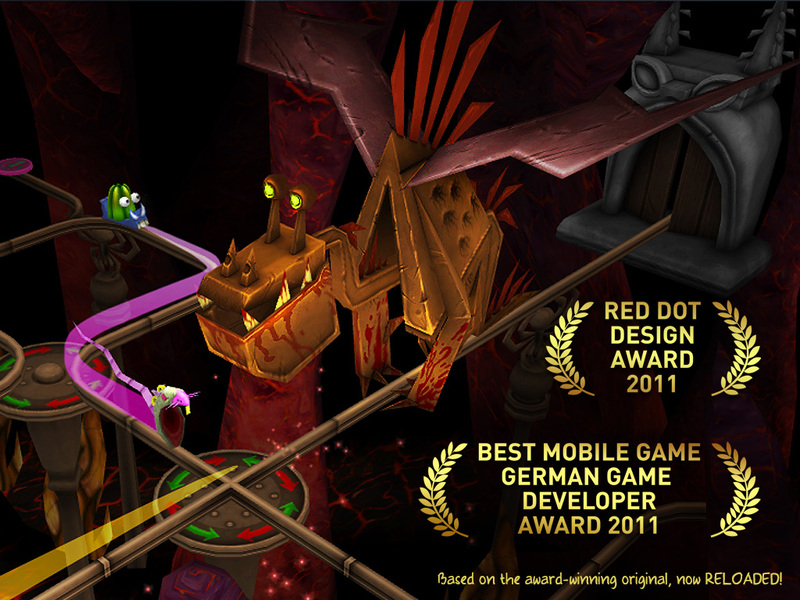 – A long-lasting nightmare: Hours of gameplay across 60 exciting levels! – Many playing variations – new challenges in every level! – Madcap animations and sounds! – Keep your spirits up, your courage will be rewarded! 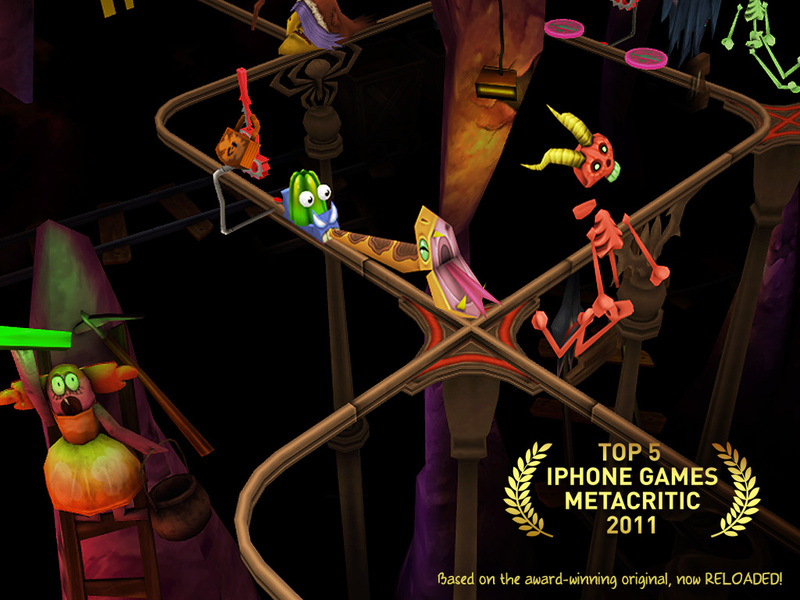 The original release of “The Great Jitters: Pudding Panic” was featured as Game of the Week on Apple’s App Store, won the PocketGamer Gold Award and received a combined rating of 91 on MetaCritic.